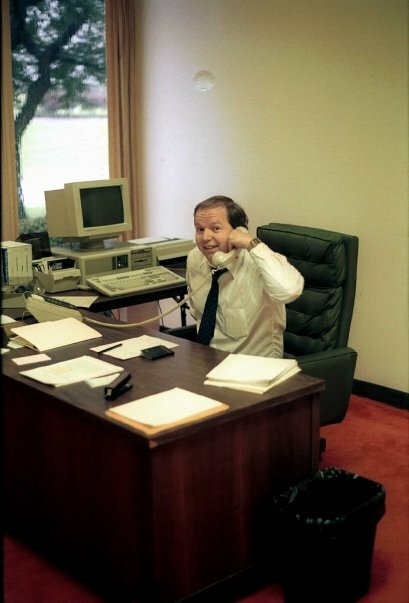 Citrix was not always called Citrix. Originally it was called Citrus Systems. This tale has been passed down for a number of years. When I first started at Citrix in 1993, I remember seeing letterhead with the Citrus name. Obviously it was left over for scrap paper. Since then I have not seen any other evidence of this old name. 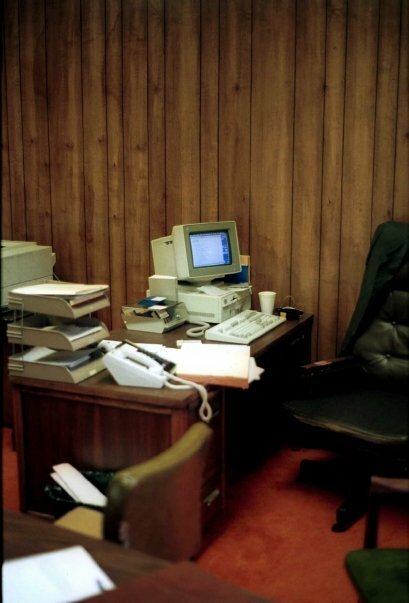 Recently Ed Iacobucci posted pictures from the original office. As part of this, it documents the original Citrus name. 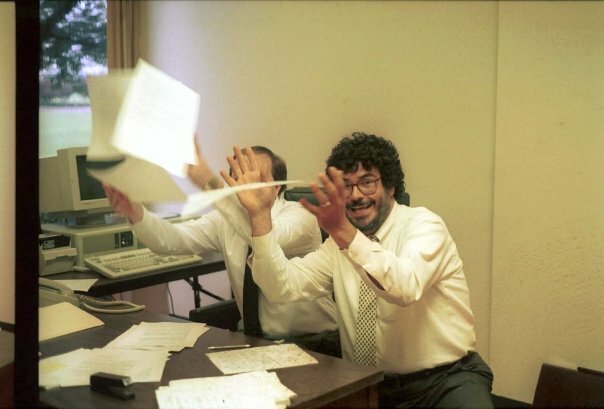 Ed has agreed for me to use the pictures here as well. The three people pictured are Randy Wood, Ed Iacobucci, and Glen Hamblin. 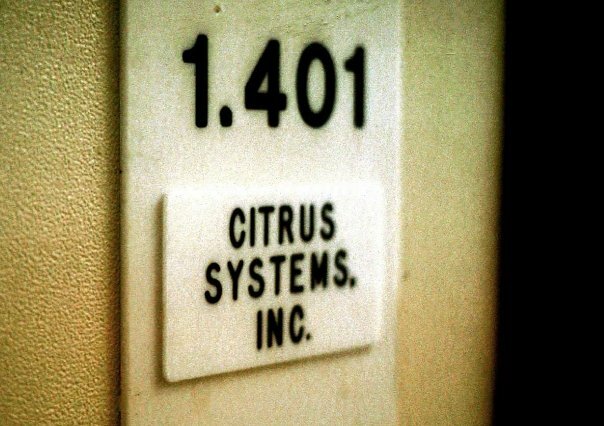 The office was in Richardson, Texas and was used by Citrus in 1989. 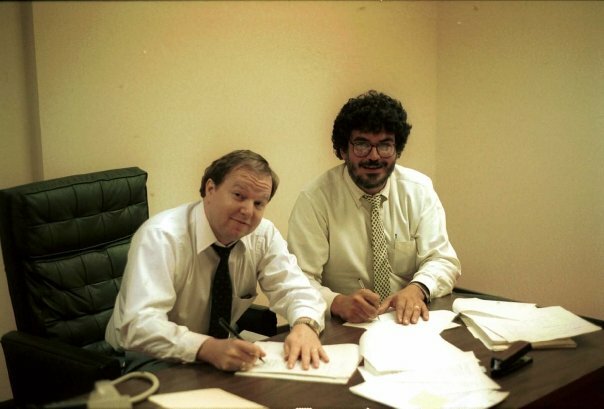 The photos of Ed and Randy are of signing the Series A funding documents. 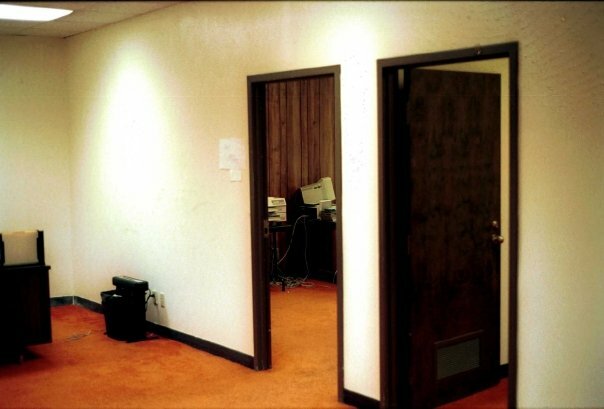 The empty office is Ed’s original office. 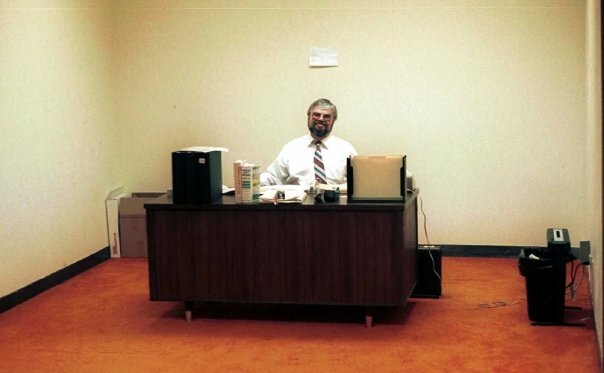 Glen Hamblin is in the big office with lots of buffer space. The carpet is actually a citrus color. Thank you Ed for permission to use these photos. 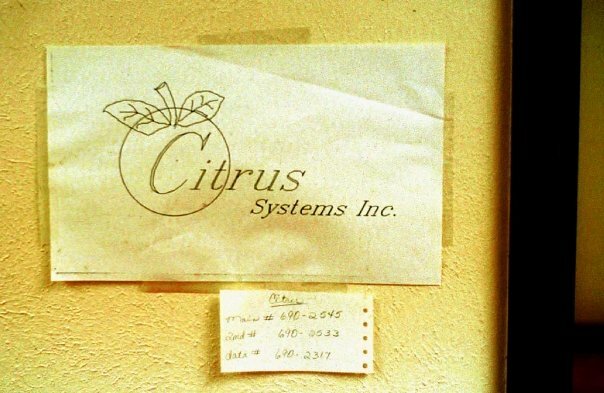 Someone at Citrix had a letter taped to their office window from some company trying to buy something like orange juice concentrate from Citrus Systems.